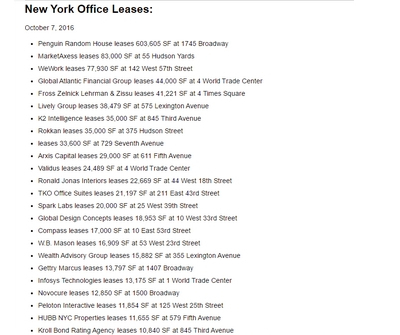 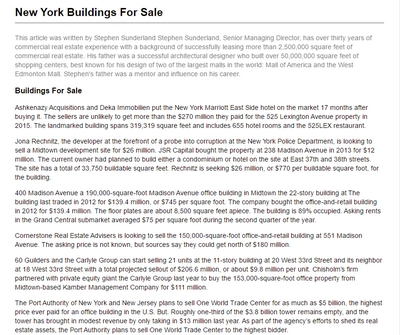 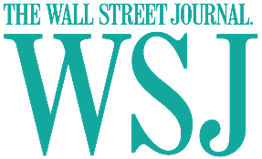 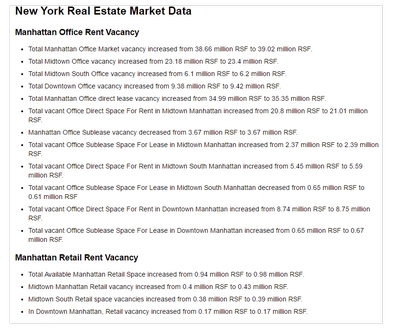 Total Available Manhattan Retail Space increased from 0.82 million RSF to 1.0 million RSF. 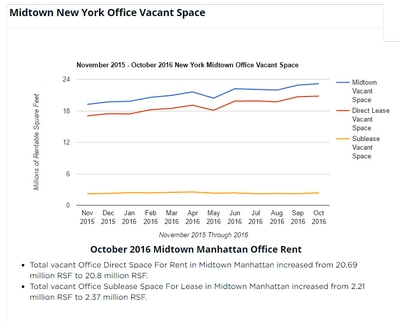 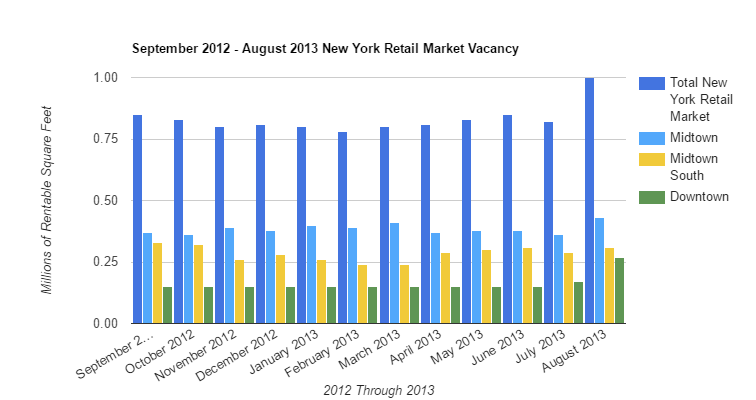 Midtown Manhattan Retail vacancy increased from 0.36 million RSF to 0.43 million RSF. 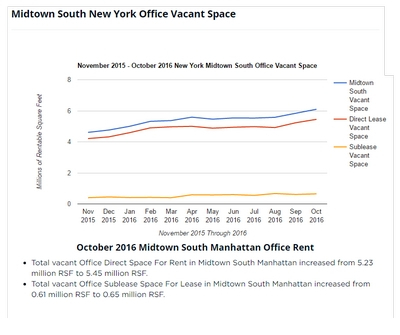 Midtown South Retail space vacancies increased from 0.29 million RSF to 0.3 million RSF. 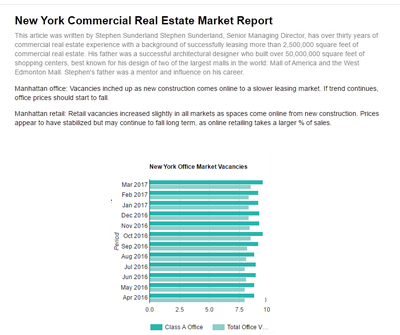 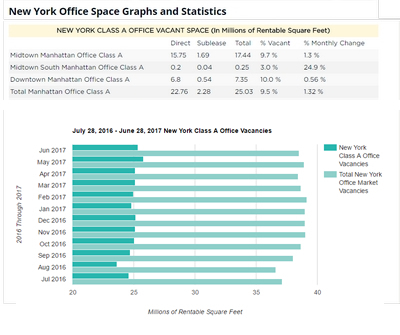 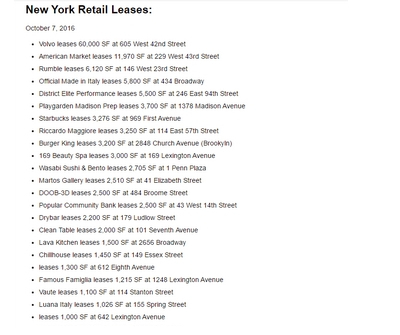 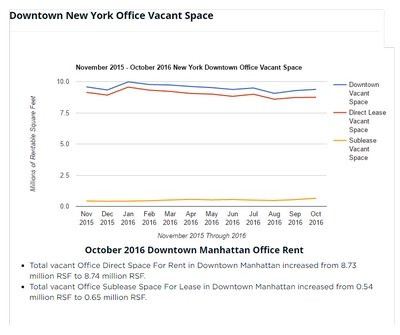 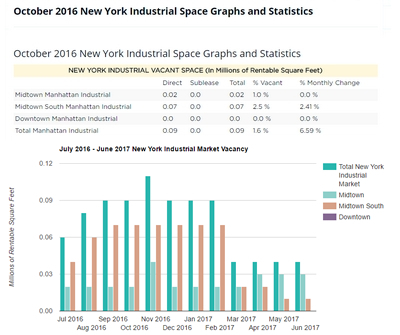 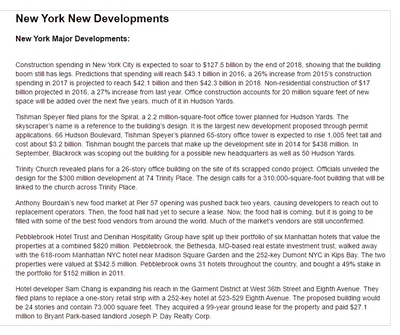 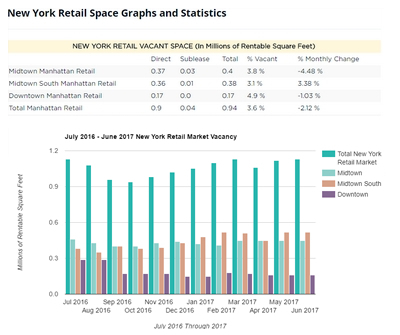 In Downtown Manhattan, Retail vacancy increased from 0.17 million RSF to 0.27 million RSF.